What a gripping read. Great plot twist at the end and I now completely loathe Otto. I wasn't that keen on him to start with, but he has now sunk into my must die a horrible death category. Justine Jones continues to intrigue and delight me. Can't wait to read the final book. Desmond Poole. He is the kind of character you don't want to like but you find that in the end you do want Desmond to somehow be redeemed. As I read, sure I wanted him to take a shower, stop drinking so much alcohol and that noodles alone aren't part of a proper diet. Yes as the story progressed I found myself drawn in. My absolute favourite part was the futuristic robotics part of the story. I was absorbed in finding out where this future that Price was showing us was heading. Is this our future? It seemed scarily possible for me. 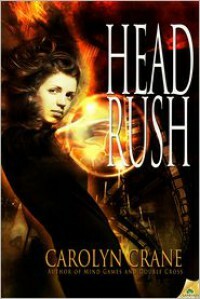 Well worth reading and a wonder sci-fi novel. When a book turns out to be just as good as you friend promised you it would be. I was captivated from the first few chapters. Whether I would personally want to live in London Below is debatable, Gaiman was vividly able to bring how it might be to live there. My favourite character was the Marquis. He was pretty shady, but I like that in a character and that you seem glimpses of good in him. It also makes you question what do you really need to survive and the answer is actually you don't really need a lot of material things. sure we want to have them, but doesn't mean we need them. 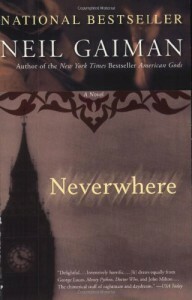 This was my second Neil Gaiman book, due to the excellent recommendation of a dear friend of mine. 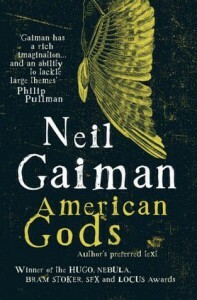 I enjoyed it, not as much as American Gods, but still well worth reading. 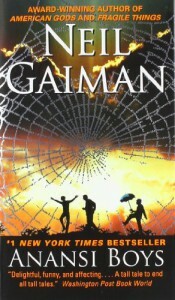 Gaiman's style of writing has me captivated and I can't wait to continue to read more of his work. I enjoyed this a lot more than I thought I would. This is the first time I've ever read Stephen King. Perhaps put off by the fact that I just can't read horror as it freaks me out too much. Well I felt that the middle of the book dragged a little, in the end I couldn't put the book down to read the last 300 pages or so. 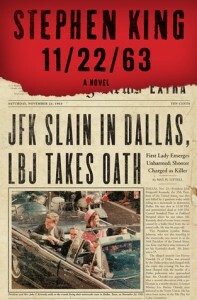 I can't wait to read more Stephen King. This was a Book of the Month for me and I have to say I really enjoyed it. Shame, the POV character had an engaging voice and I found I was invested in his story. Sure he managed to live on a diet of coffee and whiskey for a while, but that kind of added to his charm. 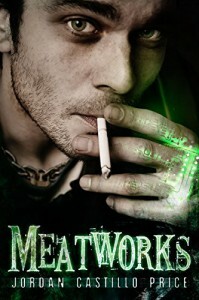 The plot is fast paced enough to keep me glued and I liked his partner Terric. I felt they worked well together. 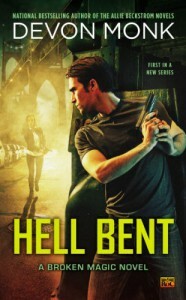 This book is a part of the Allie Beckstrom universe, so if you don't want to be spoilt for that series you would need to read them before Hell Bent. My only real niggle with the book, was I didn't buy the love interest. It didn't work for me. Other than that I would highly recommend this book. 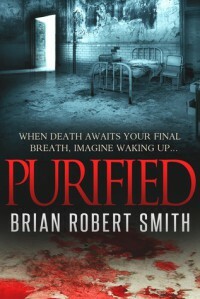 I was lucky enough to be approached with an ARC by author Brian Robert Smith for his debut novel Purified. It isn't the type of book I would normally read, being part horror, part sci-fi, but I have to say it was a thrilling read for me. Sometimes it's nice to step out of my normal genre comfort zones and be pleasantly surprised by how much I enjoyed a book. Take one mad scientist, two accomplices and what do you have? Three people set on doing evil. The mad scientist, one Dr. Harlow has created a new drug called Purified. The drug has been created by unauthorised experiments on humans. Dr. Harlow and his goons are cheating death in order to put their drug into practice. The only way to put it into practise is to steal bodies. This is exactly what happened to Mason Bushing, terminal cancer patient. Dr. Harlow thinks he is giving his victims a new lease on life and as such they are his property to do with as he wishes. Dead men and women don't have rights do they? He can't understand why people you have saved from death would not be thankful to him. At first glance you might think they should be grateful, but it is the cost of these changes taking the drug Purified creates that explains why the testing needs to be stopped and the stunning conclusion shows what a monster Dr. Harlow is. Dr. Harlow wants to take the next step in evolution. While in my opinion, that maybe twelve steps down the path of human evolution. It's clearly evident he needs to be stopped somehow. Mason makes some strange choices initially, however it does make sense by the end. If you had just been resurrected by a magical drug, would you return to your old haunts? Your old haunts where everyone has buried you six feet under and have mourned your passing already? It's a quandary as to what you would do. For Mason, he wants his old life back. He wants to return to his house, his wife and continue with his mundane existence. But things are never simple when you've died and come back. Suspicion is immediately placed upon you and when you suddenly realise that you can't have the life you once lived back, you have to find out how you can survive in this new, altered body. What Mason doesn't account for is that he isn't the same man from before his death. Dr. Harlow has altered him and it's up to Mason to figure out a way to exist with the changes he has undergone. If he can. The changes are both terrifying and exhilarating. Mason's returned from the dead and it's only logical that the police get involved. We find Detective Warren assigned to the case. He has recently lost his own wife, Linda, to cancer. 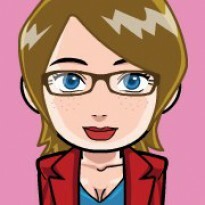 At first Warren thinks that insurance fraud has been committed. Then, people start dying around Mason and Warren's unsure if Mason's a fraudster or a murderer or both. Dr. Harlow and his goons don't want it discovered how Mason cheated death and they take measures to lock down the situation. This all leads to Mason having to make a decision he didn't intend to after his escape and he needs Warren to help him. 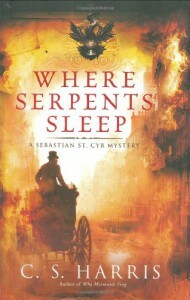 This book was a very solid debut novel and as such I gave it four stars. 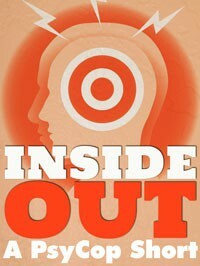 I will be interested to see what Brian Robert Smith has install for us with his next book. So I didn't love it and I didn't hate it. I loved seeing Ty and Zane again to catch up on where they were, but this whole book read to me like the Nick show. Ty and Zane seemed marginalised to set up Nick as the main driving force for future Sidewinder books. a lot of people in the fandom love the whole Nick and Kelly relationship. I still don't really get it. I didn't think that much of Shock & Awe and it's the same in this instalment. The plot was a tad boring, lame and predictable. I don't mean in the sense that I knew all the pieces, but with so many references to TV shows the direction was clear. Was this meant to be a script for a show. Was I meant to take these murders seriously when the main characters were busy laughing, chortling, snorting, flailing and sniggering. I felt like I was in the company of early twenty males and not men in their late 30s and 40s. It wore after a while and the puns were overused. ye if was a signature of the series, and I could handle it when it was just Zane being the pun expert, but now we are bombarded with them through the book. Lame in that really the cartel was behind the whole thing. Come on you can do better than that Abi. The cartel was trying to get to Zane, in this whole weird, nonsensical plot. I think at this point, alcohol was looking very attractive. Coincidences were once again a bugbear of mine. I found some scenes completely unrealistic and my own eye rolling and groaning accompanied my reading at many a point. I had this same issue in Touch & Geaux and should have learnt my lesson then. Boats miraculously returned to the island after the boat house was destroyed. Really, the couldn't stay lost and the ferry arrived to pick everyone up. In some ways it reminded me of an action movie where the heroes can keep doing anything no matter how many beatings they take. The setting wasn't the best. I'm sure it was researched, but the Inner Hebrides are very cold in December and no one appeared to be wearing jackets and there were only a couple of instances of mentioning how cold it was and that it was rating a lot. The landscape could have really helped lift this novel, if it had been used to it potential. Or perhaps I'm expecting more than this series is able to give me? I'm relieved there in only one book left in the series . It's time to wrap it up and move on. This is the weakest book in the whole series to date and I'm sadden that the series isn't as great as it once was. I wanted that amazing moment that would make me completely over the moon for the last book to come out, but that moment never arrived. This was the perfect time to have a WTF moment to get us ready for the last book. It didn't happen and I'm left musing about what could have been. E.T.A I've had to decrease my star rating on this book, as I'm still peeved after reading this book, and I've now had a couple of days to cool down. I've finally finished. 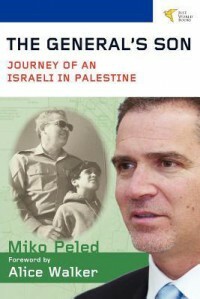 While it's taken me a while to get through this book, I have enjoyed it. It was great to see a slower pace at times. The glimpse into life at Fraser's Ridge was interesting and showed how hard life could be then. Especially when you have travelled back from the 20th century. The book contained the two longest days in the history of my reading past and both involved weddings. These scenes did feel like they dragged a bit, not that they didn't include important information, but they were a little too long for me and could have done with being a bit more concise in my opinion. 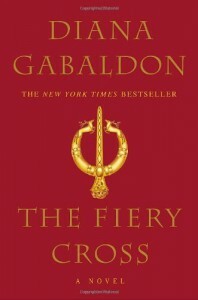 As usual Gabaldon put the characters. 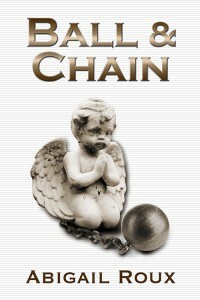 In this novel it tended to be Roger and really his character has the toughest time in the book. The medical descriptions continue to churn my stomach a little and there were enough oh my god moments to keep me entertained. I loved this short. A great introduction to when Jacob first met Victor. So the book is probably a 3.5 and while I liked parts of it there were parts I felt didn't quite gel with me. I loved every scene Newt was in and she pretty much stole the show whenever she was on page. There wasn't enough Al, for me and being the Al lover I am, I had hoped he would have a greater role given events in the previous outing Ever After. But there wasn't a lot of the demons in here and there wasn't a lot of demon magic at all. This book was more centred around the elves and their wild magic, which was just okay for me. 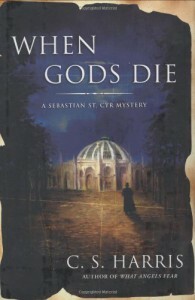 I didn't enjoy the Goddess and mystics storylines as I have with other stories which featured the Weres or Ku'Sox. I've also been ready for the vampire story arc to be over for some time as well. Trent and Rachel shippers will be happy as at least that angle seems to have been resolved. 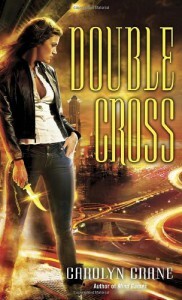 We have seen Rachel grow over the series, so I think in my head I was ready for some real demon badass action and not the wild magic direction this story took. Rachel has learnt to use her friends to help her and not just work solo with only Jenks as back up, but this story took this to the other extreme, with every man and his dog helping her. So, what did I enjoy besides Newt? I loved Bis and his mean as computer skills, I loved Jenks one liners. I also enjoyed seeing Edden back again. Where was Belle? Barely mentioned and the characters did spend some time in the church? 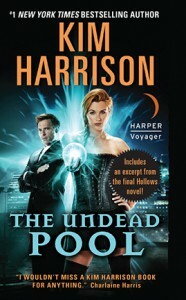 I'm still on board with the series, as I know the demons have to be front and centre in the final book. Not too fussed on the elves though. Even if the elves and demons appear to be forever linked.